These simple sessions ideal for those looking for an inclusive price session, with out the bells and whistles of my bespoke sessions. Theses photoshoots are great for slightly older newborns, up to 5 weeks, and are done with baby awake or asleep. The five poses included are designed to be great for babies even if they decide to spend the session staring straight at me! You will spend one hour in my studio, and I start with the completely wrapped pose first, this tends to settle baby. I will shoot the set poses for you, and your 5 images will be available for download as soon as the editing process is complete - this link will be send to your email address. I will be offering VERY LIMITED slots of theses sessions, so if you are interested please do get in touch asap. Please note: these are not like my bespoke sessions where I do custom prop set ups, parent and family shots. 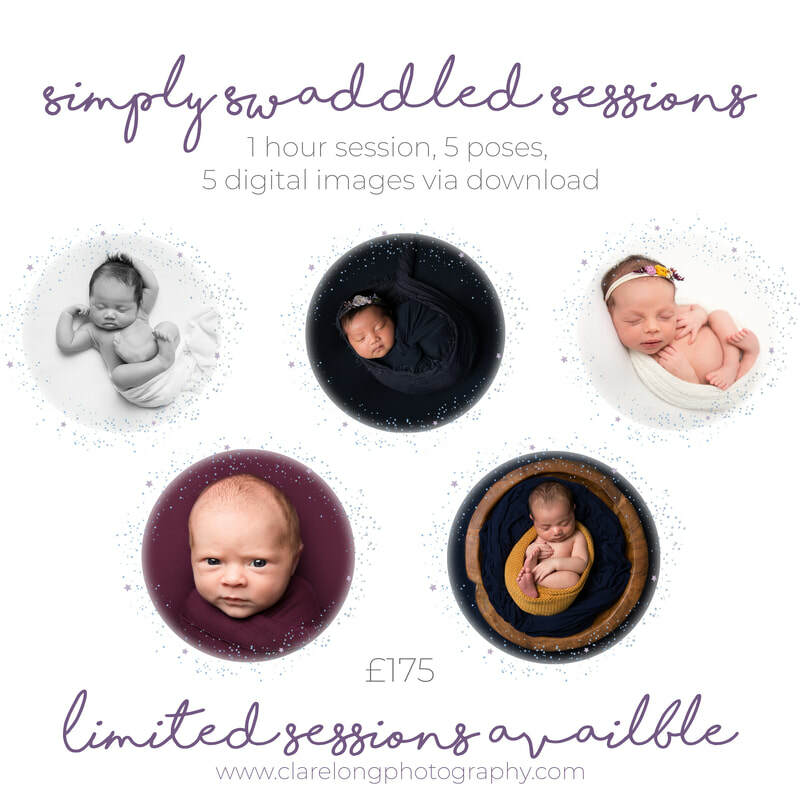 Please see my full newborn sessions for your tailored newborn photoshoot. The poses are set to work with your newborn awake or asleep. If you baby is really unsettled the session will be transferred to a 4 month old session at my digression.